It took an hour to bury Hiba, and then they are off traveling the branchways of the turntimbers . At sundown the pause for a break, but Nissa says they can't rest long, the Onduan baloth will catch up before they know it. Sorin nodded once and looked back the way they had come. Fool, Nissa thought. He has no idea. She climbed to the top of the ruined hedron and cupped her hand to her long ear. "They are eating our scent even now." Sorin yawned. He casually took a handkerchief from an inner fold of his black cloak and dabbed his brow. "You are the fool," he said. His voice was soft - so soft that Nissa found herself leaning in to hear him, unnerved that he had somehow read her thoughts. "You are the fool if you do not understand the true nature of the danger we are in. Do no trifle over whatever is following us. We must watch for the brood, and hope they haven't grown too powerful to counteract." Sorin then commands Anowon to go get him some food. When Nissa says she can hunt something down, he says that he has particular tastes and Anowan must do it. Nissa protests that he shouldn't be unbound, then Sorin tells her not to worry. "He is an archaeomancer; his interest lies in the magic of this ruined empire. He has no use of such things as ambushes or bold combat. Anyway, he wants to take us to the Eye of Ugin. Don't you, Ghet?" Sorin's voice raised in volume and pitch. "DON'T YOU?" he repeated. Nissa wonders why a vampire would follow the orders of a human. She tells Sorin that the vampire will just run into the baloth and then die. Sorin tells her she doesn't know vampire (yes, without an "s") as well as she thinks she does, and she says that he doesn't know baloth (here too), and that she knows from first hand experience that vampires bleed like anything else. Nissa then changes the subject and asks him if he has any idea how he wants to get to the Teeth of Akoum. He says he was thinking of traveling through what's now called Greypelt. Her initial reaction is to look down at the idea of traveling through a place filled with trappers and stinking humans, and then she quickly amends her comment by saying that there is of course nothing wrong with humans. "Humans?" Sorin said, drawn out of his own thoughts. "Oh yes, humans. They're wonderful. Such large noses!" Eventually the sun sets and the nocturnal creatures come out. Something crashes through the forest at a slow pace. Whatever it is, she knows it's not a baloth, because one doesn't hear baloth. (His words, not mine.) Nissa gathers some wood and assembles the beginnings of a fire. Sorin says there's to be no fire, and she responds that baloth hate fire, then he counters that brood lineage love it. When she asks again about the brood lineage, he's surprise that she knows nothing about them. When she tells him that she's originally from Bala Ged from across the ocean after he asks how well traveled she is, she gets the suspicion that he knows she can planeswalk. He tells her that the Eldrazi from her children's stories are very real, and the brood lineage are both their children and their minions. 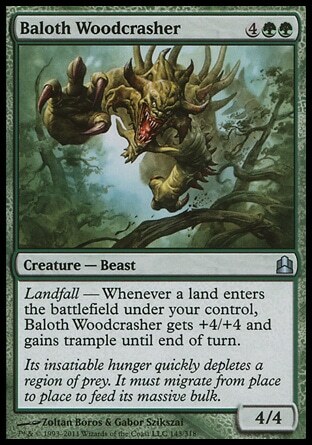 The Eldrazi are coming and they will eat the plane. Well, despite thinking earlier that they can only rest for a short time, Nissa goes to sleep while Sorin takes first watch. Some time later, Nissa snaps instantly to awake, keenly aware of what's around her which includes Sorin standing right beside her. He leans in close and she asks what he wants. He tells her that it's her turn to take watch. Nissa gets up and sees Anowan asleep off to the side. She watches Sorin get comfortable and she wonders who he is exactly. After she hears the slow and steady breathing that tells her that he's asleep, she's determined to prove that she can be just as stealthy as he is, and she sneaks up to him and starts feeling around for his pockets only to find he doesn't have any in his cloak or anywhere else, except for one pocket that contains just a gray stone. No pockets. How no pockets? She wonders how someone could travel to the middle of the turntimber with no supplies and no idea where he was. She realizes he might just be a planeswalker. Then she catches some movement off in the darkness. She tosses a jaddi nut over in its direction and a flash of light reveals three tree stalkers, the smaller cousins of the baloths . She casts another spell, which animates nearby branches and pins one of them to the ground. Another pounces on her and she can feel its claws digging in when suddenly its chest bursts open. She tries to roll away only to feel its heavy head fall on to her back and is slammed to the ground. Despite being pinned face down, she's looking up at the trees. Nissa gets up and demands that Sorin tell her why he killed the creatures. When he asks if she would have preferred to have let them kill her, she says that would have been the natural order of things. 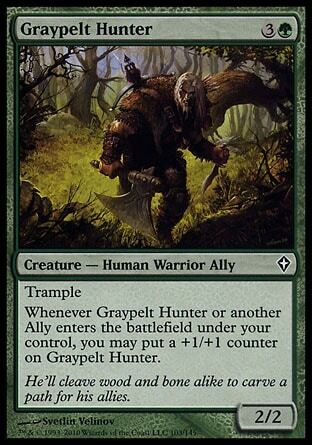 He only laughs and says there will be plenty more opportunities to lose her life, and he begins leading the way to Graypelt despite Nissa supposedly being the guide. They walk all day until they come across an abandoned camp. There's some strange floating statue with tentacles for legs with a turntimber tree growing around the whole thing. Pieces of the tree's bark has been peeled away with boxes attached, and Nissa explains that quartz stones are placed in the boxes to aborb mana from the land, and they're sold by fools to other fools who think it'll cure various illnesses. She tells him that elves don't need boxes to get mana from the land like humans and vampires. They're all suckers of life, one and the same. They move on and continue their journey until Nissa notices tracks from a party containing goblins, humans, a kor, and an elf, and she tells them to prepare themselves. I seriously had to force myself to slow down from quoting something every other paragraph. It's impossible to avoid all these various quirks of Wintermute's writing. I found myself being bombarded with mistakes in logic, odd dialogue, grammatical errors, etc... I could very easily do a write-up on this chapter that is two or three times longer than the chapter itself, but I'm going to try to pick out some highlights. She cupped her "hand" to her "ear" and said that the baloths were "eating" their "scent" that every moment. It's like Wintermute tried to combine all five senses into one sentence and decided that adding in the fifth sense of sight just would be too much. But listening for baloths and knowing they're eating their scent... it's just... perfect. These people of Zendikar must have some really dense scents. Baloths clearly have noses so if they can actually taste their smells... oh man. Let's just say if you go on a date with Nissa or Sorin... you might want to go when you have a heavy cold and can't smell anything. Two chapters, and already he's yawned twice to express his boredom. That is not a flattering character trait. He just makes himself look like a jerk. 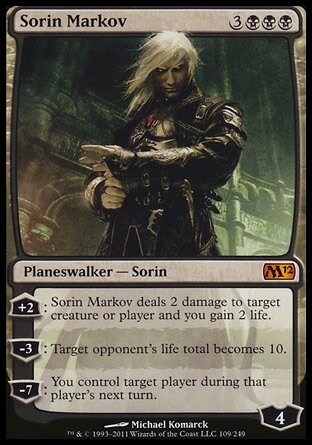 Take a moment to really imagine Sorin raising the volume of his voice and pitch when he gives his commands to Anowon. It's rather silly isn't it. That could just be a really strange character trait of his, but I usually imagine people's voices going becoming deeper and fuller when they want to express intimidation and confidence when it comes to something like this. It's like Wintermute is just throwing out words without knowing what he's writing. Nissa kicked a depression in the moss on the forest floor for her hip and lay on her side with her back against the hedron stone. 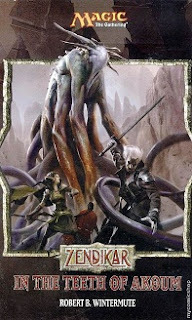 Later on when Sorin got up, she's quite annoyed that he looks perfectly clean as if he hadn't slept with a "hip in a hole" all night... somehow I doubt that such hip-centered comfort is an idea created by the Creative Team to give Zendikar some personality. 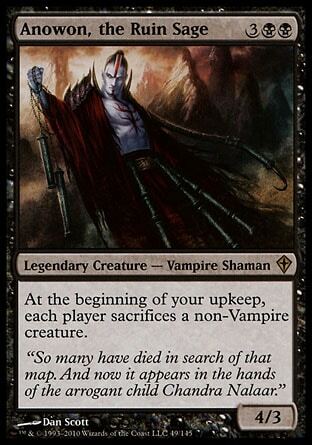 What's the whole deal with Nissa not understanding that Sorin is a vampire? I hope that gets resolved soon. Wintermute needs to seriously understand what audience he's writing for. The vast majority of readers are going to know that Sorin is a vampire and is not just a human being. There is going to be no "big reveal" for the reader. The situation needs to be written as if the audience is in on the joke or shouldn't be written in at all. 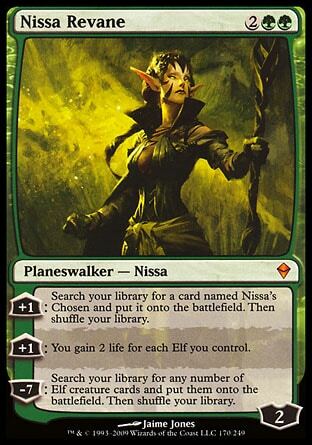 This way it's more like an insult to the audience and/or just makes Nissa look rather incompetent, neither of which is a good thing. What's wrong with our noses? And what kind of nose does Sorin have? Doesn't he have a human-sized nose? I would assume that's why Nissa thinks he's human. So why is he making fun of the size of a human's nose with all his "Such large noses!" talk, and of course, why doesn't Nissa think that comment is strange. Why was she even fighting! I guess she did only pin the creature down, but Wintermute is absolutely missing the mark in trying to express the flavor of Green. Once again he's demonstrating his clear misunderstanding of the color wheel. Oh no worries. At least this time I had some kind of understanding of what I was getting myself into. I presented it as an option because I'm going to need to get through it at some point, and I need to see what's been done with Sorin before we get to Dark Ascension. Everything was telling me it's time to take on this book. 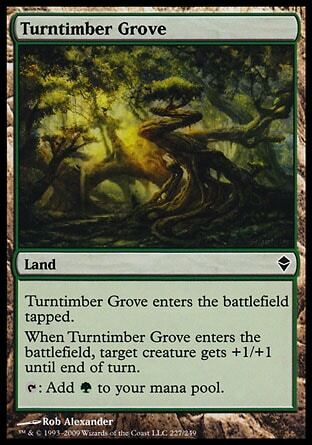 At the very least the Time Spiral is fantastic, and it helps to balance out Zendikar.